When driving at high speeds, you have to slam on the brakes to prevent an accident or for some other reasons. Considering that your brakes are in good shape, your car may take several seconds to finally reach a halt. However, brakes, which have been in use for a while, will compromise your safety. This is where the need for brake replacement arises. If you notice a weird pulling sensation that drifts your car to the other side of the road, it is a clear sign your brakes are wearing out. To examine correctly, drive in a straight lane. After reaching a good speed, apply the brakes. Check to see if the car pulls on the right/left side of the road. If it does, it could be a sign that your brake pads are wearing out. If you notice a throbbing or pulsating sensation or sound when applying the brakes, it is a clear sign that your brake shoe is not up to par. Pulsating brakes often produce a vibration, which you will notice. If the problem isn’t that serious, re-machining the brakes will take care of it. Nevertheless, it is better to replace the entire brake pads and shoes. Upon depression of the brake shoe, if you hear a rattling or clicking noise, it is a clear sign that your brake pads and shoes are wearing. Usually, brakes produce the clicking noise when they reach the end of their useful life. So, make sure not to drag your brakes for too long in this condition, as they may not provide the braking power needed for an emergency stop. There are also numerous visual cues, which indicate the need for brake replacement. Among these cues are checking the brake pads by looking at them via the spokes of the car wheel. If the brake pads have scratches or trims, it is a clear sign you need to replace them with new ones. 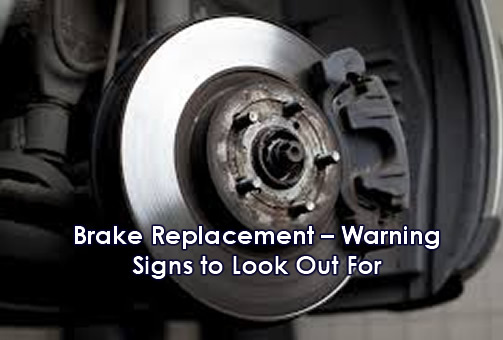 So, now that you are familiar with these signs, identifying that you need brake replacement won’t be a problem.